Are you fed up with accepting your pain or trying to ignore it? Or maybe you feel stiff and achy most of the time? Have you stopped doing what you love because you’re too miserable? may be exactly what you need to finally heal and get better! A holistic therapeutic approach for effective and lasting pain relief. Find authentic healing to restore your body to a more aligned and balanced state. Move with more ease and less pain by developing strength and resilience throughout your body. Pilates movement training will renew and nourish your body. Self-care is essential for keeping your body healthy and happy. These videos give you solutions for some common problem areas that many struggle with. Fascia influences the quality of our movement much more than our muscles alone. Fascia plays a large role in how our nerve cells communicate to control movement. Fascia has unique properties that require a specialized approach to training, recovery and therapy. Maintaining your myofascial health is essential for a body that’s mobile and resilient. 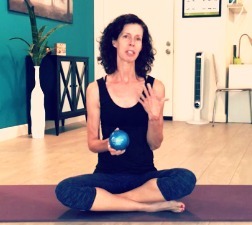 In this guide, I’m sharing restorative ways to relieve tension throughout your whole body. 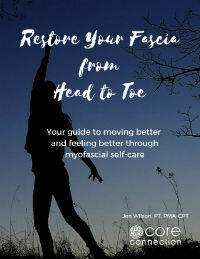 You’ll learn effective self-care techniques necessary for supporting healthy fascia and sustaining a body that moves with ease. Start moving better and feeling better today! "I’ve had amazing success working with Jen the past 7 months! 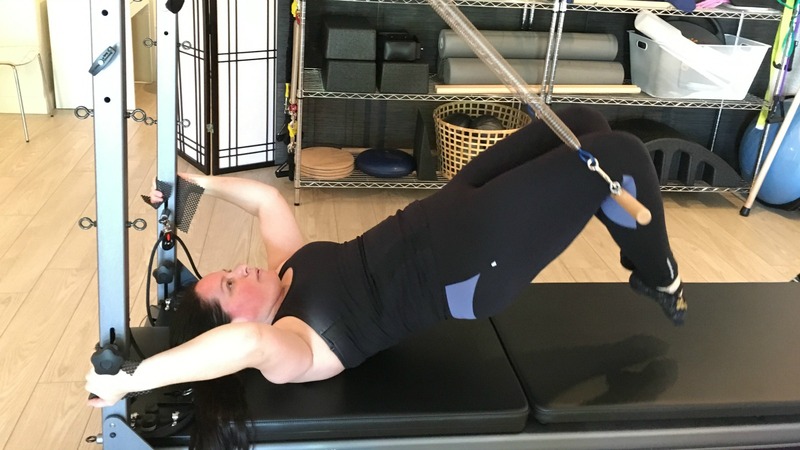 She is a fantastic Pilates instructor and trained physical therapist who combines a customized workout with a gentle, caring approach that allows her to push my personal limits while keeping my health as her top priority. What really sets Jen apart is that she keeps up with current research and is proactive in finding new and better ways to improve my fitness and overall health. Most of all, Jen has a great personality, is fun to work with, and makes workout days something to look forward to. I couldn’t ask for a better instructor!" "Jen is a literal life-changer. 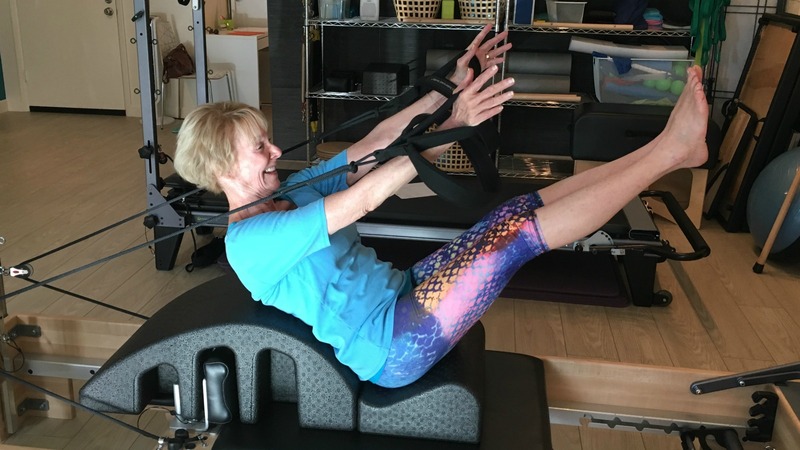 I decided to try Pilates, and specifically Jen, due to a stubborn issue that months of physical therapy hadn't really helped much, despite valiant efforts on the part of the therapists. Jen listened and we did a couple of sessions of myofascial release therapy and then she encouraged me to get moving! My issues have progressively resolved. I think her physical therapy roots help her identify what's happening in my body and she tailors the exercises to allow me to do them even if the first time it hurts. 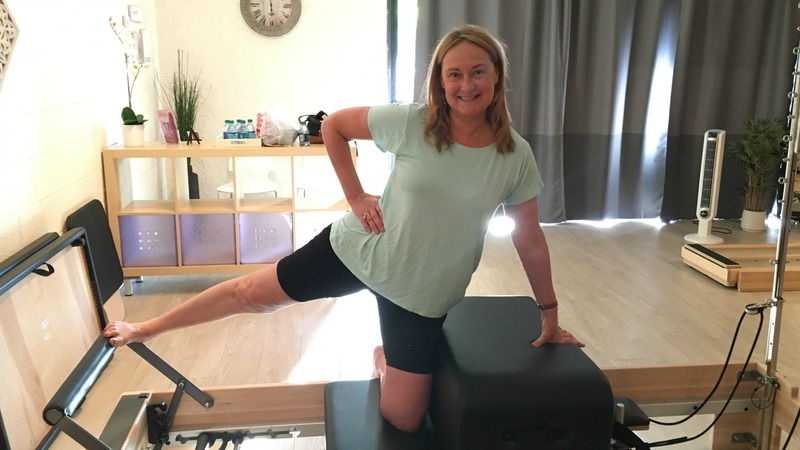 Even if you have no issues with pain or restriction, Jen's fabulous with her Pilates teaching--she watches carefully and corrects even the tiniest alignment problem so you get the maximum benefit from the exercise. She's really revolutionary in her thoughts about the importance of movement. She's also just a really nice and funny person." "I truly appreciate the thoughtful and individualized instruction that Jennifer provided to me. Last year, I was in a car accident and was limited in my exercise for several months. By the time I met with Jennifer, I had very little strength in my stomach and back muscles, which seemed to be creating pain in new places for me, as well. She took the time to really listen to my history of injuries and my current pain and concerns. I had never done pilates before, so I was a bit intimidated by it. Jennifer was patient and great about showing me how the equipment worked and modeling what the exercises looked like before I started. She was right there to watch my form and adjust an exercise if something was hurting or difficult. She was able to tailor the various exercises so that I would be comfortable, but still be challenged and get the most out of it. Pilates with Jennifer was a great way to gain back my strength. I highly recommend Core Connection." Healing through Myofascial Therapy and Movement! 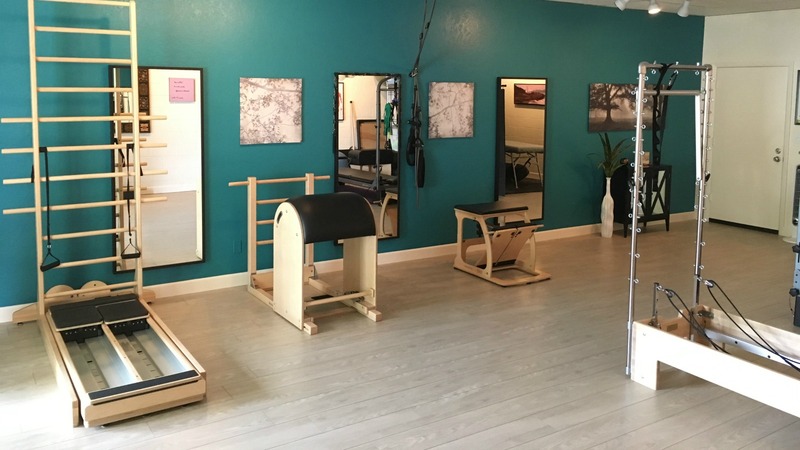 Core Connection is a specialized studio located in the heart of Gilbert, Arizona offering Holistic Physical Therapy – blending Myofascial Release Therapy and Pilates for effective, whole-body healing. Discover joy in movement, make wellness a priority and feel fit and strong for life. Realize the benefits these methods offer for improved living as I share my passion for movement with you. Find your path of improved movement and learn to guide your body toward optimal health and strength.